If a crisis suddenly occurs that leaves you unable to care for your pets, what will happen to them? Confusion and turmoil typically accompany an individual’s death or sudden incapacitation. Unfortunately, pets are frequently overlooked, in such times. In fact, pets are often discovered days after a crisis has occurred. To make sure your arrangements for your pets’ care are effective, two things are needed. First, be sure the plan with your designated pet caregiver is rather formal and not just a conversation in passing. Secondly, make sure the person who will look after your affairs knows you have pets and what your plans are for their future. It’s best to have at least two people committed to caring for your pets. This way, if the timing doesn’t work out for one of them to take on the responsibility, you have a secondary plan. Choose responsible friends,family members, or neighbors you can trust. Spend some time with the potential caregivers and let them know how many pets you have. Provide them details about the feeding and care of your pets, the veterinarian, and any provisions you’ve made for the pets’ permanent care. Arrange for financial support of your pets, whether you are incapacitated or have passed away (learn more below). Keep an emergency card in your wallet that includes names and contact information for your pets’ caregivers. Provide details about the caregivers to the family member who will handle your affairs in your absence. Place alert notices on your doors and windows so that first-responders know the number of pets and kinds of pets you have. Do not use the type of stickers that are difficult to remove. If left behind when you move,there could come a time when firefighters risk their lives to save pets that aren’t there any longer. Put information about the care of your pets on the inside of your front and back doors, so that your pets are provided for, regardless of any type of emergency you may have. If permanent arrangements are needed for your pets because of your illness or injury, you may want the person caring for them to also handle your finances. You can name the person as Power of Attorney (POA) for that purpose. However, a Limited POA could be set up for the purpose of paying only for the expenses of caring for your pets. This would include necessary expenses such as dog food, vaccinations, medical treatments,and medications. A POA is no longer in effect when you die. At this point, a Trust is needed, in which you or your Executor name a person to care for your pets. You can also opt to assign money to be paid to the person caring for them. Only about 9 percent of pet owners with a will make financial provisions for their dogs and/or cats, according to the American Pet Product Association. Leaving financial provisions is the best way,however, to make sure your cats continue purring and your dogs are still wagging their tails after you’re gone. 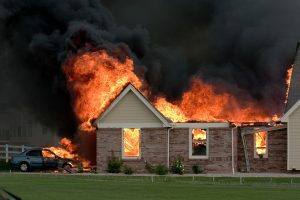 According to an experienced Certified Estate and Trust Specialist, resources to ensure that things run smoothly for pets left behind in an emergency have been lacking. One such expert created the affordable Family Emergency Card, to fill in the gap. This new resource accomplishes everything basic legal documents don’t, as far as preparing for the care of pets, and much more, in an emergency. The Family Emergency Card is an excellent resource you can use to ensure that your pets get the uninterrupted, lifelong care they deserve. 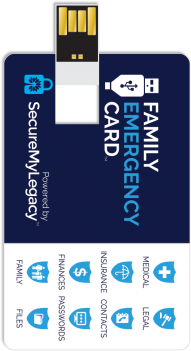 The Family Emergency Card is a flash drive that contains a workbook to document everything your family will need if something happens to you. 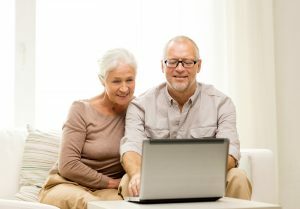 During a crises, families often struggle to find their loved one’s emergency documents, passwords, important contacts, insurance policies, financial accounts, wishes, and other details needed to take care of affairs. 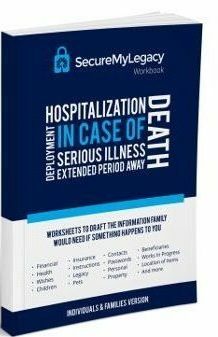 The family emergency card and paperback workbook you can only get here, captures the vital information your family will need if something happens to you. Simply answer the questions on the forms to create a personalized in-case-of-emergency guide for you and your family. 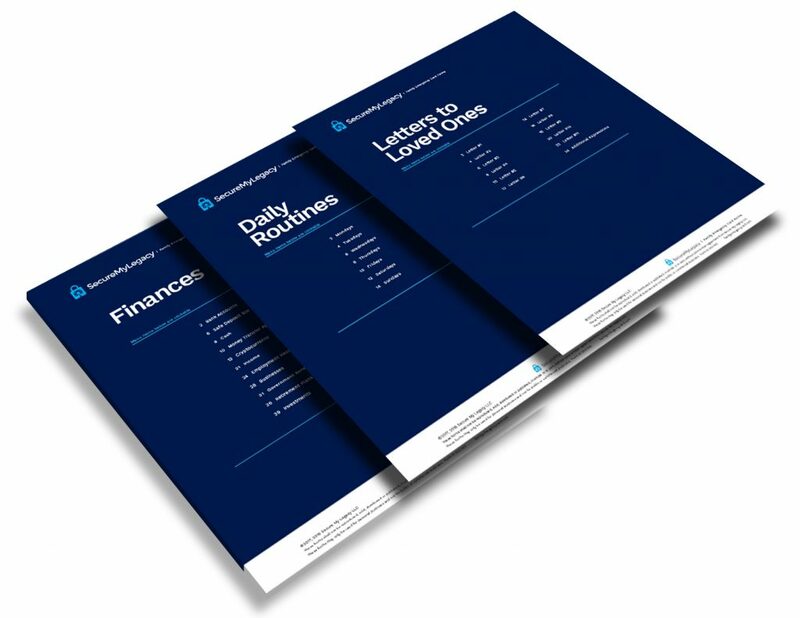 Bank accounts, retirement accounts, investment accounts, income sources, cryptocurrency keys, credit cards, bills to pay, etc. Doctors, prescriptions, medical history, allergies, healthcare directives, doctor's appointments, medical response instructions, etc. Online accounts, apps, email accounts, cell phone, secured files, safe codes, alarm codes, keys, etc. Words of encouragement, words of wisdom, love letters, apology letters, additional expressions, etc. Likes & dislikes, diet, allergies, medical condition, after school activity details, preferences and instructions for their care, etc. Likes & dislikes, diet, vaccinations, groomer, veterinarian, favorite dog park, preferences and instructions for care, etc. Who you provide care for, care instructions, their medications, doctor's appointments, daily regimens, etc. Will, trust, power of attorney, advance directives, pre-planned memorial details, etc. Simply insert the Family Emergency Card flash drive into the USB port of your computer, open and complete the workbook forms, save a copy of your will, medical directive, insurance policies and other in-case-of-emergency files on it as well. 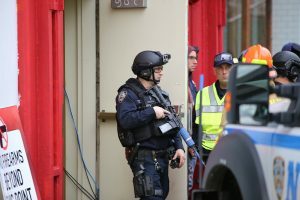 Store in a safe place or with your attorney. Comes with step-by-step instructions, including how to password-protect it. Not that technical? Get the paperback workbook instead of the flash drive.